Best Beef Jerky: O.G. 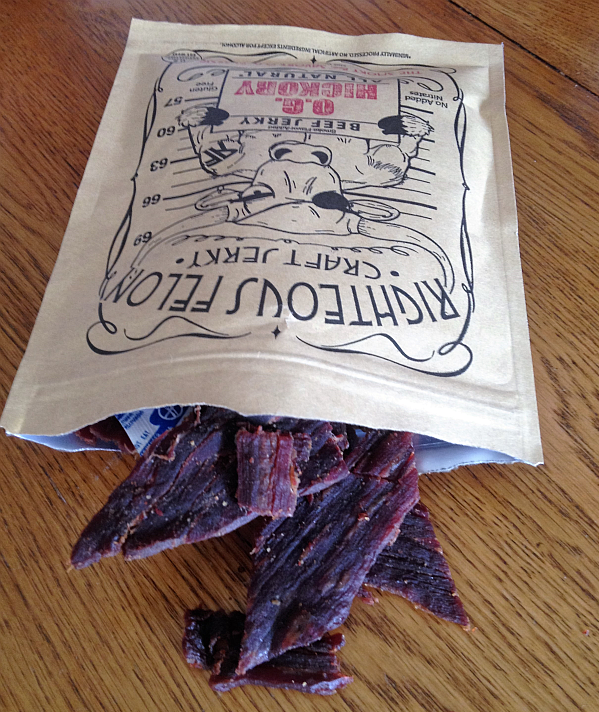 Hickory Righteous Felon Jerky Review – Get Cooking! You are here: Home / Reviews / Food Reviews / Righteous Felon Craft Jerky from O.G. Hickory: The Best Beef Jerky, Period. Righteous Felon Craft Jerky from O.G. Hickory: The Best Beef Jerky, Period. I recently wrote a glowing Eat, Feed, Love Taste Club Box Review on Get Cooking – telling you all about the deliciously exciting subscription box program for foodies. If you haven’t read the review or looked into their big-hearted mission, I hope you’ll do so – after reading this particular review, that is. I loved everything in the box, which is why I’ve been writing individual reviews in addition to the main Taste Club Box review. And, as a reminder, you can buy the individual products on Eat. Feed. Love. – whether or not you subscribe to the Taste Club Box. This amazing beef jerky doesn’t just stand above every other beef jerky I’ve ever had – it LOOMS above every other beef jerky I’ve ever had. Put another way, Righteous Felon O.G. Hickory Beef Jerky is the best dang beef jerky on the planet. And it’s gluten free! 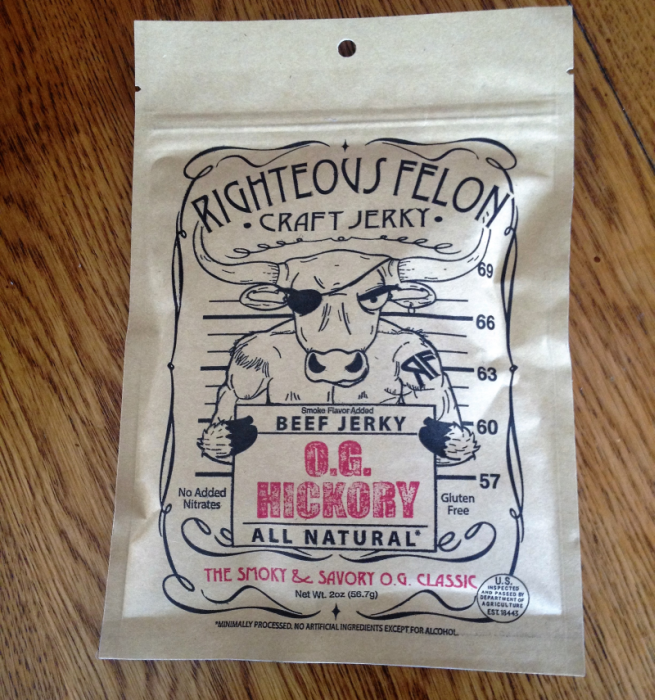 If you want to taste what Beef Jerky is supposed to taste like, check out Righteous Felon O.G. Hickory Beef Jerky. You’ll never look at the others the same again…. if at all!